Safe and hygenic collection and transportation of faecal matter and sample handling can be problematic. However with the right products, it’s possible to provide an assured service that meets regulatory standards. Fe-Col papers provide a simple, easy-to-use, efficient and hygienic stool collection method. For patients they offer a quick, simple solution to a frustrating and potentially messy problem. For the laboratory testing the faeces, they prevent the risk of sample contamination, ensuring fewer test errors. Faeces are tested for a variety of reasons, most commonly for the determination of the presence of bacteria or parasites, for fat content, for faecal occult blood which can indicate bowel cancer and for Calprotectin which can help discriminate between Inflammatory bowel disease (IBD) or Irritable bowel syndrome (IBS). Unlike most other laboratory tests, stool samples are normally collected by the patient at home. However, many people find this collection process difficult, unpleasant and unhygienic to perform. Cling film, paper plates, and copious amounts of toilet paper are the most commonly used methods, but these are then difficult to dispose of and may cause plumbing blockages. 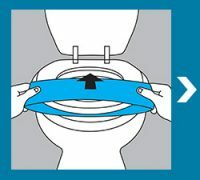 The Fe-Col device has been developed to solve these problems: a unique, disposable stool collector, which is easily and securely placed on the toilet and can be totally flushed away after use. 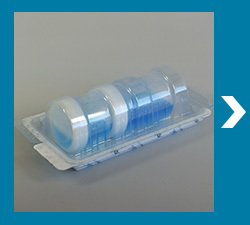 SpeciSafe® is a unique packaging concept that makes patient sample packaging much less of a chore. SpeciSafe replaces the need for secondary packaging and combines the absorbent material and rigid container within a single piece. The unique feature of SpeciSafe packaging products is an internally bonded super absorbent lining which soaks up any leakage in seconds. The material is so absorbent that 1m2 can soak up as much as 20 litres of liquid. Once the lining has absorbed its maximum amount of liquid, it becomes a watertight barrier and effectively seals the SpeciSafe pack preventing any leakage from the secondary container. The lining is bonded to a rigid container moulded in a range of designs to fit perfectly around commonly used 95 kPa sample vessels. 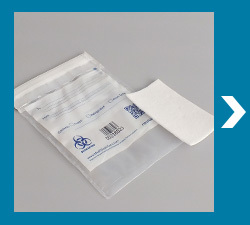 They include packs for single or up to ten sample containers covering the commonly used Urine, Blood, and Swab vessels, amongst others. Gel block built in absorbency – absolutely no leaks. In the modern medical environment, thousands of patient samples need to be transported from their point of collection, to a testing laboratory for analysis. Getting things safely through the post can be problematic, so packing and mailing of patient samples needs careful handling and adherence to regulations. 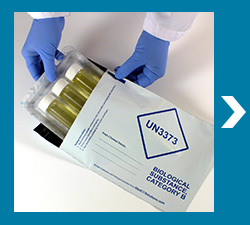 Category B, faecal samples must be transported under guidelines issued by the World Health Organization using P650 packaging instructions, to UN3373 standards. 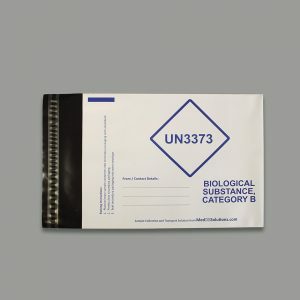 To date laboratory personnel have had to fashion various packaging solutions to meet the UN3373 requirements to transport patient samples. These include wrapping the primary container in an absorbent material, placing this in a sealed plastic bag and then putting all this into a rigid box. This requires multiple materials and can result in mailing packages being of considerable size, increasing the cost of postage. 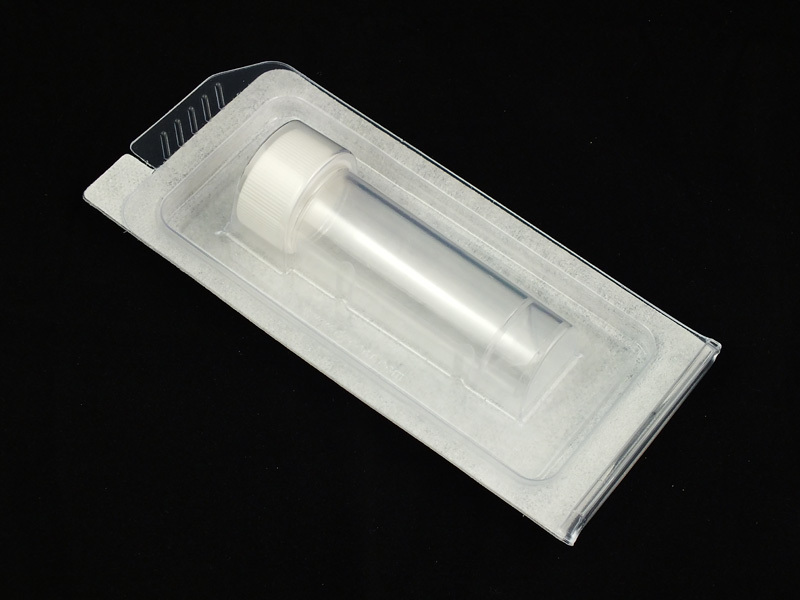 Whether you are sending stool samples for faecal calprotectin testing by road or air, Alpha Laboratories has everything you need to meet the demands of UN3373 P650 packaging instructions. 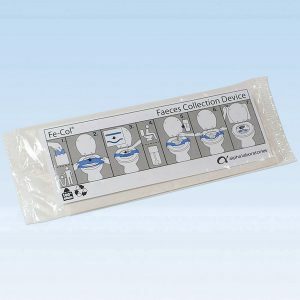 Helping to make stool collection easy, efficient and hygienic for patients, the Fe-Col® is a simple paper loop that fits over the toilet seat and can be flushed away after use. The added convenience helps encourage patients to provide their sample, improving uptake for diagnostic tests. It also minimises the risk of faeces coming into contact with toilet water or cleaning products, thus ensuring quality samples for the laboratory. Fe-Col is available on its own, in a handy dispenser box or in a range of kits including a sample pot, gloves etc. 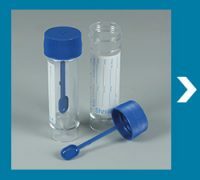 The wide range of Universal containers available from Alpha Laboratories includes options with a spoon which are ideal for faecal samples. We also offer a range of larger volume 60ml Universal containers, plus the EveryDay containers with a range of coloured caps. Faecal pots can be placed into the rigid SpeciSafe® secondary packaging system which includes bonded absorbent material and built-in separation of containers. There are SpeciSafe packs to fit the 30ml Universal containers and also for the larger sample containers up to 90ml. Alternatively to ensure compliance faecal pots should be individually wrapped in absorbent and then placed in a secondary pouch. If the primary container is not 95kPa compliant, then the pouch must be pressure tested to this level and there are different gauges of pouch specific for Road Transport and Air Transport. Using this format the outer packaging must be a rigid box. When using SpeciSafe® for road transport it can just be placed in a suitably labelled envelope for an economical solution. However, for air transport a rigid outer container is necessary. Suitable for Road or Air transport with compliant primary and/or secondary containment. 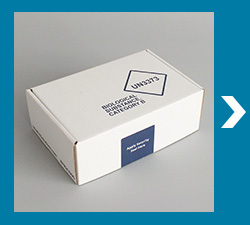 Outer boxes are available in a range of sizes to accommodate multiple sample formats.